Location: Midway between Sarah's Mine and Old Moss Mine, in the marsh. 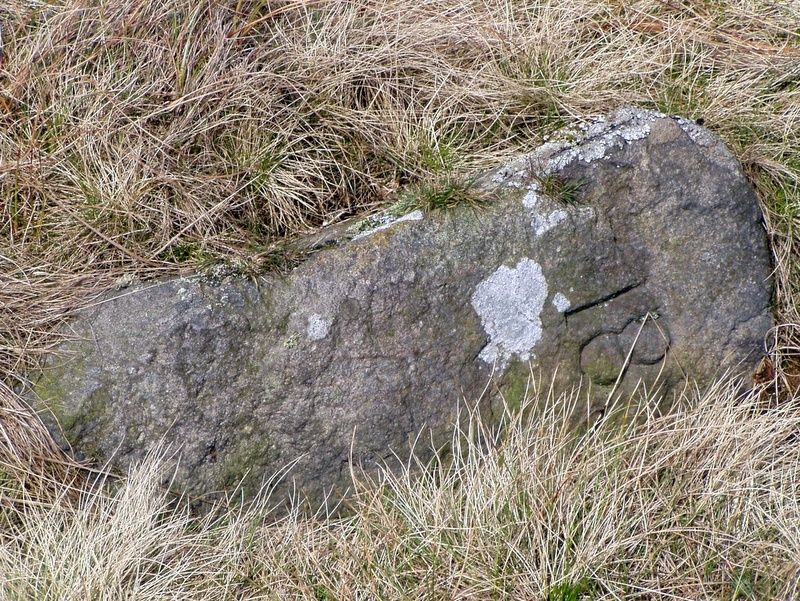 A largish stone lying semi-buried on its side with the inscription facing the south. 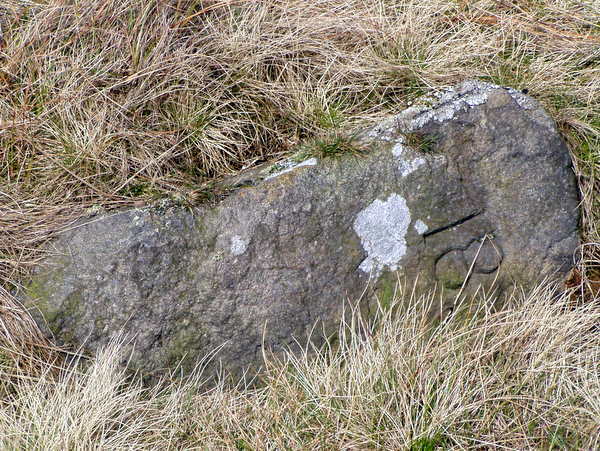 This possible marks the north-east corner of the Wilkinson & Company Pit Moss holding, where it abuts onto the western side of the Overend & Company span holding.